As the world of business continues its shift towards a fully global workforce, businesspersons are rapidly realizing to secure the most excellent talent; they might require looking out of the US. This phenomenon is not the new one, in fact in the middle of the previous recession period in the US, where the rate of unemployment raised towards 7 to 8%, many firms were still recruiting the best individuals for the employment, even if they did not stay in the US. Many companies bring in their employees through H-1B visa program. As the world of business getting more and more competitive, the hunt for the peak talent would continue to go beyond the borders. Employers always look to recruit the individuals who are already based in the US, even if the individual is not the citizens of the US. They verify that the employees and especially those who came from outside the US and they are issued legitimate status of doing work in the US. The employer fills out the IRS form I-9 for verifying the eligibility of the job. They also make sure that the new employees that have been hired submit entire up to date, legal and legitimate documents. The employers would collect the documents within three working days after the fresh employee begins his work. The employers often use the services like E-Verify for checking the copied paper work and photographs. The employer cannot hire an employee if their visa expires after the employer accepts the position. For every small mistake the Customs Enforcement and Immigration Department (ICE) would levy fine that would start from $110 and for big mistakes more fine could be paid. Most of us believe that recruitment of an nonresident employee is beyond the capacity of small business, expensive attorneys, complex paper work. Its best to take the help of any consultant. There is limit of 65,000 H-1B visas that are available every year. So if the paperwork is correct, then the individual is eligible. Many big firms often recruit more than thousand nonresident employees every year. Visa qualifications are strongly twisted towards highly educated employees in specialized fields. 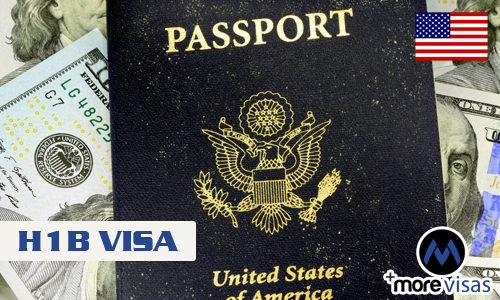 These visas are intended to be the last resort for the businesses in the US. Employers need to sponsor their employees, by doing this they actually make them a promise of providing employment for them and requesting a visa on behalf of the employees. In order to get sponsored an individual needs to provide the paperwork and if possible they require to visit the embassy in their nation for finalizing the process. H-1B visas are not easy to get and if they are available in less numbers, there would be a competition to recruit top talent among employers. The decision to get hired as a foreign employee is a bit difficult one but if you do it without making any mistakes, it would really make the entire process a worthwhile.